According to the US Census, the average American moves almost 12 times in his or her lifetime; 1 in 6 will move each year. For the dweller on the move, large pieces of furniture that can’t adapt to different spaces often don’t make sense. Ideal furniture design should adapt and scale depending on the living situation. One firm that is doing this is Ecosystems, whose “Snug-it” system creates highly adaptable furniture design (pictured above). The machined aluminum Snug-it pieces act as instant, tool-free joinery; should you want to scale up or down the size of your furniture, you can easily do so by replacing the piece in the middle. You can also transform a desk into a bench or any other piece of furniture should you choose. They offer an array of pre-designed and custom furniture. Another idea comes from a new venture called TETRAN. They are launching a line of 100% recycled, modular furniture building blocks. The hollowed out boxes create tons of storage space and infinite changeability. Skins are replaceable to adjust the look; options range from glass to leather. Tetran hasn’t started production, but will be taking pre-orders through Kickstarter beginning in June. Check out their amazing promotional video below to see its many possible incarnations. 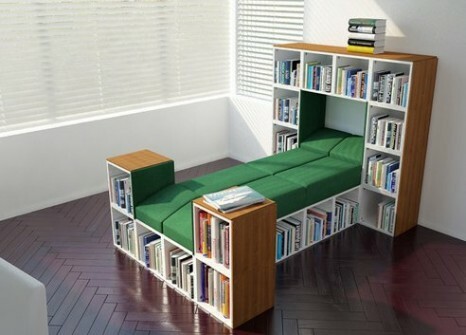 For people who do not move often, high-quality, stationary furniture makes sense. But for a growing part of the population, moving has become a frequent ritual. Companies like Ecosystems and TETRAN are responding to this reality, providing high quality, durable designs that move and grow with you. Great concept! Reminds me of this Lego story this morning — would that all furniture could be disaseembled for easy reuse –even as an entirely different piece of furniture. Thanks for bringing this to our attention. wondering a lot by seeing such awesome post. Lots of thanks guys! !